When you’re a kid—whether that’s age five or age fifteen—you can’t wait to be an adult, whether that’s because you want to set your own bedtime, or you want to buy booze, or just to escape whatever situation you’re in now. Being an adult seems like a land of freedom that only suckers and lame-wads don’t appreciate. But that’s not really how it goes, is it? Unless you’re lucky and strike it rich quick or you come from a wealthy background, life as an adult is more often than not a series of struggles that you stumble along in a zig-zagging line of confusion and expense. And a lot of that is the fault of schooling, especially in high school. There is no “Real Life Class”. I never really learned how taxes work. For my first job, at age fifteen, I didn’t know I had to file group certificates for my taxes. I didn’t know how! Where was I supposed to learn that? There’s no point where they teach you how rent (and rental stress) works; at no point do they tell you how to get a job; and nowhere along the line are you prepared for just how expensive life can be. For example, we all agree that, in our modern age, electricity—and, by extension, the Internet—has become a necessity for living. In fact, it was declared that the Internet was a human right by the UN in 2011, and that limiting someone’s access to the Internet was violating their human rights under international law. Many countries have strong, free, public wifi networks, which enable people to access this human right. Sure, we could have held back a small amount of our money in order to have something of a cushion, but then we would have had to borrow more, which may have denied us the loan, or made the repayments unmanageable. And yet, being an adult means paying a minimum of $60 per month for reasonably speedy access the Internet in your own home. Australia has, in fact, worse Internet speeds than Kenya, Russia, and Hungary, ranking 55th as of 2018. It’s also one of the world’s most expensive countries for Internet access, up to seventeen times the price of Internet in Europe. And it’s only going to get worse with the nightmare of the NBN rollout, where we’ll be following the American custom of paying more for faster speeds, which will still be slower than what other countries get for a pittance. Electricity prices are always hiking higher and higher, and God help you if you—like me!—have electric hot water. That’s right, some buildings—including the one I now live in—don’t have natural gas lines running to them, despite how much this would save the average Aussie per year. Not to mention the fact that price for power would lower drastically if every apartment block, home and business were given solar panels for reduced prices, but I digress. And hey, talking about homes, I recently bought my first home (in this building with no gas line). What no one tells you about buying a home is the litany of expenses that incurs. We were luckily exempt from stamp duty, being first home buyers, which would have been another 4% of the purchase price on top of the price of the home. We weren’t eligible for the ten grand on offer for those buying new homes over established homes, but that’s neither here nor there. What nobody tells you is you have to have a solicitor—who can run up a bill going into the thousands in order to push your papers around—in order to complete the purchase. For them to do their job, you need to buy the strata report if you’re buying a unit, which ran us $231. And there’s no option, you have to buy it. Then there are fees associated with whatever the solicitor does behind closed doors, which often run into the hundreds of dollars. Then there are the fees from the bank you’re getting the mortgage from, which can include any number of charges for things like account creation and handling fees, which also run into the hundreds. Overall, you end up spending thousands of more dollars than you had planned because nowhere along the way do you really know how much anything is going to cost. 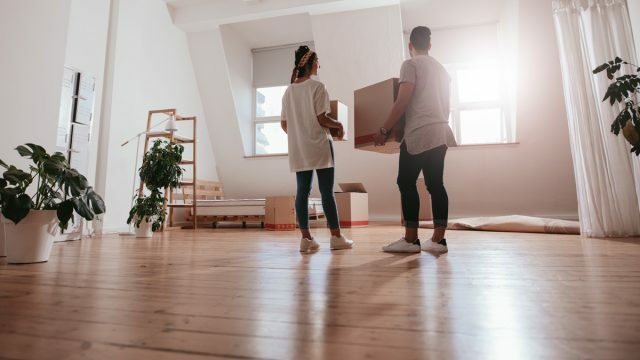 So on top of the tens of thousands of dollars in initial deposits for the home purchase—which, like us, can be 100% of your money—you end up needing thousands of more dollars in unavoidable, necessary fees. And the fact that they’re so expensive is made more infuriating because they’re necessary. We live in a time where it’s so easy to live because of all the convenience we’ve been offered, but our society has made it practically prohibitively expensive to actually utilise these conveniences that only the wealthy—or those surrounded with generous friends and family—can actually afford to use them. Sure, we could have held back a small amount of our money in order to have something of a cushion, but then we would have had to borrow more, which may have denied us the loan, or made the repayments just difficult enough so as to be unmanageable. The fact of the matter is, nobody tells you growing up how any of this works, and you’re just expected to either know it, or be able to find out about it. And despite all our free access to this information everything is laid out in such a way so as to be opaque to your average layman without the benefit of tertiary financial education. More and more, our world has necessities that our societies turn into businesses. This can’t go on. It can’t.